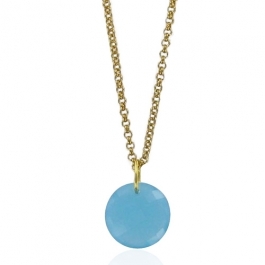 This designer leo aqua necklace features a faceted blue chalcedony gemstone, set on a 18k chain. 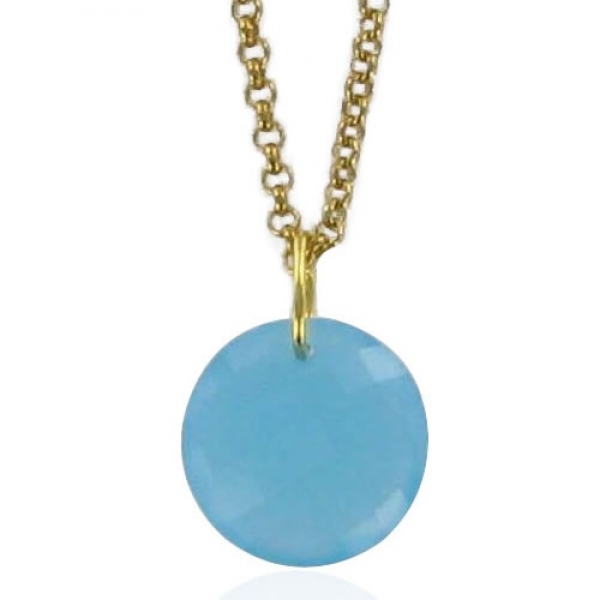 Approx length: 16" Approx stone diameter: 1.7cm. 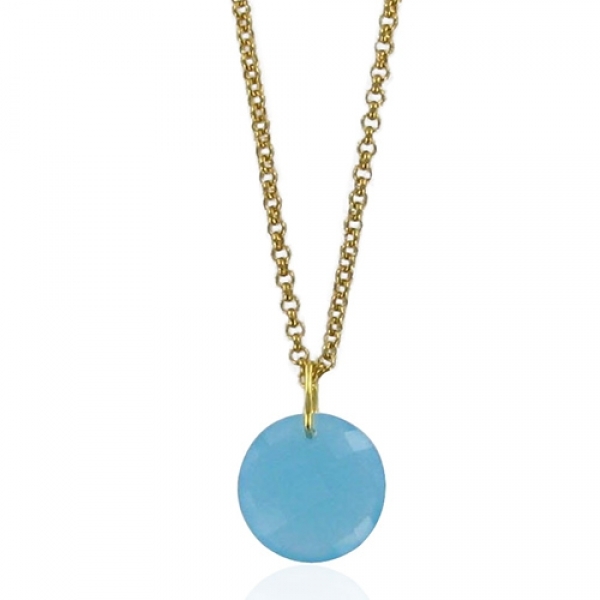 Pendants are a key look this season and this one looks luxurious! Complement with the matching Leo Aqua earrings and Medina ring, also in Aqua Blue for a perfect set. A beautiful gift idea.